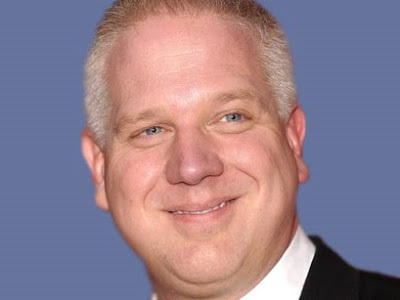 The Glenn Beck Review: WTF? Romney's son, Tagg, owns voting machines in Ohio and four other states! WTF? Romney's son, Tagg, owns voting machines in Ohio and four other states! As if the horrible Citizens United decision did not make this election unfair enough, Tagg Romney, who recently expressed a desire to take a swing at President Obama and the son of Republican presidential candidate Mitt Romney, has purchased electronic voting machines that will be used in the 2012 elections in Ohio, Colorado, Washington, Texas, and Oklahoma. Mitt Romney, his wife Ann Romney, and their son Tagg Romney are also invested in H.I.G. Capital, as is Mitt's brother G. Scott Romney. What has also been made public are the emails those employers have sent to their employees with an implied threat that if they don't vote for Romney they may lose their jobs. Can you imagine the uproar from Beck and the rest of the right-wing media if President Obama made a similar request to all federal government department heads? Voter ID and voter fraud have been top issues in the 2012 race, as have claims of Republican voter suppression. Mr. Romney's campaign has also been the subject of controversy over misleading ads, false claims, sketchy math on his tax plan, and overall vagueness on women's rights and other hot button issues. And Glenn Beck, professional liar, has the gall to claim that Obama is "lying." If Mitt Romney truly has the qualities that American voters want in their president, why does he have to go to such great and questionable lengths to try to win the election? Yet there is an irony in the Romney campaign that cannot be ignored. For all the noise the right-wing has made in questioning the legitimacy of Obama's presidency, there have been so many questionable efforts made to help put Romney in the White House, if he wins, there should be great dispute over whether his election could ever be called genuinely legitimate. If you doubt that Romney is trying to lie his way into the White House, check out the 49 lies listed on just one of 39 web pages listing his many false claims. See "Chronicling Mitt's Mendacity, Volume XXXIX." That close connection between the Romney family, Romney campaign contributors, and a provider of voting machines may raise some eyebrows, but it doesn't establish any direct ownership between Tagg Romney and a provider of voting machines. Rest assured that there will be no corruption from the Romney's on election day.